We thank Kelly Peter for her past two years as Youth Director for St. Casimir, Cathedral, and St. Mary's Parishes. She will continue in a volunteer capacity with a Youth Commission that is city-wide sponsored. With the help of the community at large this will hopefully meet the needs of our youth. If you would be interested in sponsoring the calendar, please contact the parish office at 507.452.4770 or info@cathedralwinona.org . All profits (100%) from the calendar for the creating company, Catholic Extension, go to support under-resourced Catholic communities in the U.S. Kids will discover God's forever love when they learn about 1 Corinthians 13. VBS includes learning Bible verses, games, crafts, awesome music, tasty snacks, fun skits and much more. 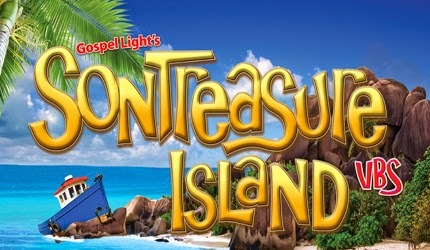 Join us at SonTreasure Island where kids find the treasure of God's love illustrated by the life of Jesus August 4-8th. Registration forms are available at all Parish Offices and online here. Please register as soon as possible. Vacation Bible School will take place at St. Mary's School/Church. Contact Julie in the St. Mary's Parish Office at 507-452-5656. We are seeking parishioners to join our Pastoral Care team. 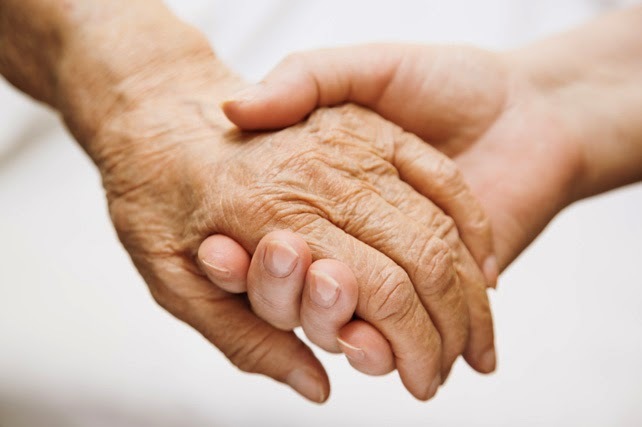 We are seeking those interested in befriending the sick or homebound of our parishes. There is also a need for additional Communion ministers to the homebound, and those in our local care facilities. The expectations are flexible to meet your interests and schedule; training will be provided. Please contact Peter and Kay Walsh at 454-4605 or WalshPeterK@gmail.com for more information. 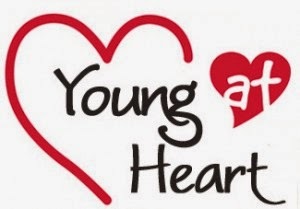 The monthly gathering for Young at Heart will be June 5th with 12:00 pm Mass followed by lunch of baked ham, macaroni salad, baked beans, relish tray, roll and strawberry shortcake. Entertainment will be provided by Ben Mahlke. You can still make a reservation by calling Marge at 454-3433 no later than June 1st. Please let her know if you need a ride. The cost is $3.00/person. All are welcome! Wednesday mornings (9:30-11:30 a.m.) at Cathedral of the Sacred Heart in the St. Augustine Room. Cost: The binder of study materials is $30.00/binder. Binders are required for participation in the study. Partial scholarships are offered on a limited basis. Please contact Kristin in the parish office to inquire or donate. Get more information or register online by going to the Adult Bible Study section of our website! The parish office will be closed Monday, May 26th in observance of Memorial Day. We remember and salute all who died in their service. 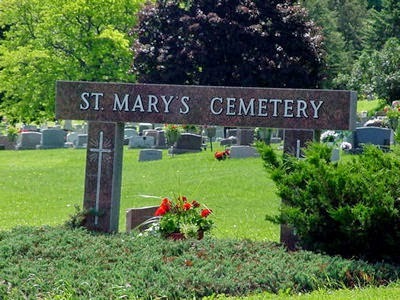 Monday's Mass will be held at the outside Altar at St. Mary's Cemetery at 9:00 am. Please click here for more information regarding this Mass. Check out any hotel advertisement. Each chain claims they will provide the most comfortable stay – the bedding will be the softest, the rooms will be the cleanest and most up to date, the breakfast will be the biggest. All of our needs – in our home away from home – will not only be met, but exceeded. The advertisers are simply appealing to our universal desire to be comfortable. We all want to be comfortable. We want air conditioning when it’s hot and we want food when we’re hungry. We want the most advanced mattress so we have a great night’s sleep. In our country, in this day and time, we are not likely to go without those things that bring comfort. We really don’t have to. Yet, as stewards, we know firsthand that we should not expect comfort in this life. We should be prepared for challenges and trials,. When we step outside our comfort zone, when we strive for greatness as stewards no matter the obstacle, and when we turn to God during life’s trials, tacking these challenges only makes us stronger. The icon of “Our Lady of Czestochowa” (“the Black Madonna”) is reputed to have been “written” on Mary’s table top from her house in Nazareth by Luke the Evangelist. She has been credited with numerous miracles and healings – both of a spiritual and physical nature. A beautiful copy of this icon has been blessed and consecrated at the monastery of Jasna Gora in Poland, where the original is kept, and entrusted to the defense of life and family. Now, after traveling 40,000 miles from Vladivostok in Russia through 24 countries in Europe, she will be visiting the Cathedral parish on her global pilgrimage. Please join us as we welcome her to our parish cluster to ask for her protection of life and family as well as personal petitions. A welcoming ceremony will be held during the 5:15pm Mass on May 24 at the Cathedral. Feel free to stop in throughout these days to pray through the intercession of Our Lady of Czestochowa. To download a Holy Card please click here. If you were unable to attend the meeting on Thursday, May 15th, please plan to attend on Sunday, May 25th at 11:45 am in Holy Family Hall at Cathedral We will review our efforts and look for ways to expand the outreach programs of our cluster. Your help with these ministries and input are wanted! Contact Peter and Kay Walsh at 507-454-4605 for more information. Did you know there's an easier way to stay up-to-date with what's going on in our cluster? You can subscribe to our website updates by typing your email address into the link below and you'll get a daily update email sent straight to your inbox. The “Black Madonna” will be at the Cathedral of the Sacred Heart May 24th through May 25th. Open to girls and their mom or significant female adult who have completed 6th, 7th or 8th grade. The School Sisters of Notre Dame invite moms and daughters to “splash” into the beginning of summer with bonding time on Our Lady of Good Counsel Campus in Mankato, Minn. It is a blend of activities designed to strengthen the mother-daughter connection and provide an inside look at the sisters’ lives. The event is from 1:00pm on Friday, June 20, to after supper on Saturday, June 21. Cost is $65. Contact Sister Mary Swanson, 414-305-9011, mswanson@ssnd.org or you can get more information at www.ssnd.org/summersplash. You must register online on or before June 16. 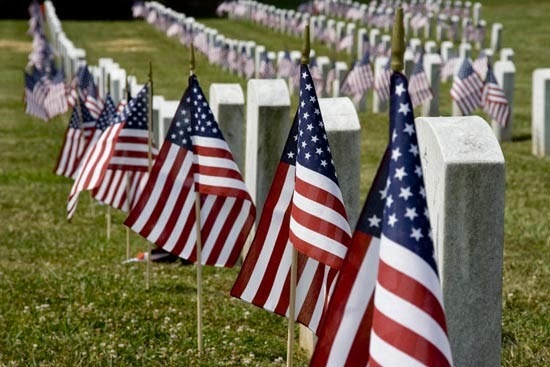 You are invited to attend a special Mass on Memorial Day celebrated by Rev. Richard Colletti. The service is held at the outdoor altar, which is located in the east side of the cemetery. In case of inclement weather, please listen to KAGE or KWNO; they will announce if the Mass will be moved to the Cathedral of the Sacred Heart. With last year's ReDiscover such a success, this year it's even bigger and better than ever! For more information about the great line-up of speakers and events coming this October, check out their page here. It will sell out quickly! The 2014 Rediscover: Catholic Celebration is for all Catholics who want to find new ways to live out their faith more fully. Catholics from across the Archdiocese of Saint Paul and Minneapolis come to celebrate the depth and beauty of our Catholic faith! Be inspired by internationally-known speakers and great music. Unite with fellow Catholics to celebrate the depth and beauty of our Catholic faith. Be inspired by internationally-known speakers and great music. Learn about exciting faith formation, worship and service opportunities throughout the Archdiocese and beyond in the Rediscover: Exhibit hall. The event will conclude with the celebration of Holy Mass. The day includes break-out sessions for adults, Latinos, youth and children. Featuring: Archbishop Paul Coakley of Oklahoma City, Scott Hahn, Father Dave Dwyer, Curtis Martin, Leah Darrow, Kelly Wahlquist, Jeff Cavins, and more! make it what it is. is, am filled with these same things. I want my parish to be. Congratulations to all of those who received the sacrament of Confirmation on Sunday at the Basilica of St. Stanislaus Kostka! What is your relationship with the Blessed Virgin Mary? Perhaps you pray a rosary every day, or perhaps you are not really sure whether you should be praying to Mary. We have all had different experiences growing up and have begun different habits of prayer, so learning more about the Catholic spirituality of our Blessed Mother can be helpful to anyone. 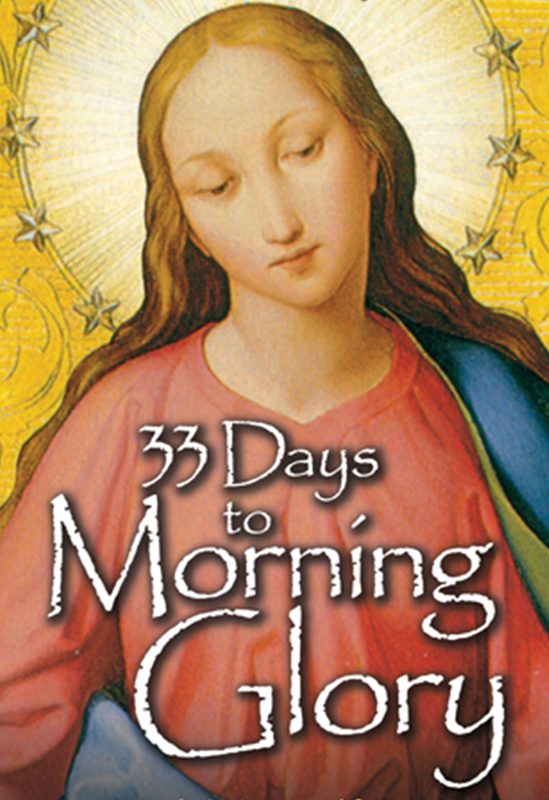 We invite all of you to participate in reading and discussing the book 33 Days to Morning Glory. We will meet on Tuesdays, May 27th through June 24th. There will be one group meeting after the 12:10 Mass, and another group meeting at 6:30 pm. For the registration fee of $5, everyone will receive a copy of the book which is divided into 33 short readings. On Saturday, June 28th, we will drive down to the Shrine of Our Lady of Guadalupe in La Crosse for Mass. To register please call the parish office (452.4770) or sign up online. The monthly Holy Hour for Life, Marriage & Religious Liberty will take place on May 17th at 8:30 am, after the 8:00 am Mass in the Adoration Chapel at Cathedral (360 Main Street). All are welcome! I received your check for $2,203.00 towards the orphanage in India. I sincerely thank you from the bottom of my heart for your generosity and magnanimity. Surely it will help me provide for the poor children there. They will be very glad to have something bought fr them. I would like to specially thank you for allowing Anne Dulas to do this for the orphanage in your parish. Special thanks to Anne and the women who contributed their time, talents and resources in raising the money. May the Risen Lord bless all your parishioners and grant them His peace and joy. I am leaving for India on May 4th and coming back on June 12th. I am really excited about my trip even though the temperature is around 115 degrees. I am glad that I am going to spend some time with my aged mom and family. Thank you graduates for your service in our cluster. We've loved having you while you were here and wish you the best in your future endeavors! Quo Vadis Days has allowed young men to spend time hearing the vocation stories of priests of the diocese, praying, and enjoying fun with their peers. This time has also allowed these young men to focus on the call of Jesus Christ to their vocation, while learning more about the priesthood and the life of a diocesan priest. This year's session for young men entering 9-12th grades in the Fall of 2014 will be held June 17-20. We will focus on the vocation of priesthood and prayer, while including the usual recreational activities that have been a part of Quo Vadis Days from the beginning. All forms needed for registration are on the diocesean website. The deadline for registration is June 1. What theme is more universal than the importance of motherhood? We Catholics prize that nurturing relationship so highly that we call our church, "Holy Mother," and we venerate Mary, the mother of Jesus, for her pivotal role in the life of the savior. Yet, Mother's Day can bring with it a plethora of emotion and memories. Any mother can attest to the difficulty and challenge of the task of parenting. And mothers come in all shapes and sizes. Some mothers are birth mothers, some are adoptive. Some mothers are the grandmas or aunts who raised us. Some mothers left us far too soon, and no matter when they leave, they always leave us orphans. Some mothers are the people we rebelled against; some mothers are the women we idolized. Most often, our mothers were probably both. It's a complex relationship, this parenting. As Christian stewards, many of us are mothers but all of us are sons and daughters. During May, we honor and remember not just our own moms, but Mary, the Mother of God. We see her as the great symbol of motherhood and as our role model. At her knee, Jesus learned his prayers and the faith of his ancestors. At her hearth, Jesus grew in wisdom and grace and developed his sense of manhood and destiny. Mothers should resist comparing themselves to Mary. It's tough enough being a mom without setting the barrier that high. But we all should ask Mary's intersession, so that in our endeavors to be good stewards and to raise good stewards, to nurture in the faith those entrusted to us, she might come to our assistance and guide us with her motherly understanding. And on Mother's Day, we ask Mary to bless all mothers, especially our own. Happy Mother's Day to all of our mothers, especially those celebrating their first Mother's Day this year! Tens of millions of Americans live with the burden of mental health problems. The Surgeon General estimates that one out of five Americans experiences a mental health problem in any given year- approximately 60 million people. 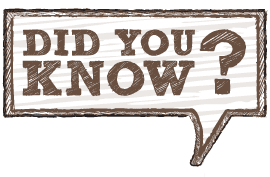 One out of 17 Americans experiences a severe mental illness such as schizophrenia, bipolar disorder, or major depression during the course of his or her lifetime. Mental illnesses are more common than cancer, diabetes, heart disease or arthritis. Mental illness affects the mind, body, and spirit. Mental illnesses disrupt a person’s ability to think, feel and relate to others and one’s environment. Most major mental illnesses are treatable diseases through the right use of professional help, medication, and community support. In spite of advances in treatment, stigma still exists toward people with mental illness and many who live with major mental illnesses tend to be isolated and marginalized by society. What does this have to do with our parish? People with mental illness are our neighbors, family members, and fellow parishioners. Although mental health problems are treatable with supportive services and medication, many people do not access help due to cost, lack of awareness, stigma and other issues. Families of people with mental illness often do not know where to turn. Lack of community services and support for their loved ones drains them physically, emotionally, and financially. Mental illness is a disease inside and part of a person who has a heart and soul in need of love and compassion. As a community, as a Church, we are called to love and support all God’s people. Let us be a community that lovingly supports and includes all who come to our doors. As a parish, are we educated and aware of issues of mental illness? Do we actively seek to reduce stigma of mental illness? Do we pray for persons living with mental illness and their families as well as researchers and practitioners who seek to support persons with mental illness? Do we extend a welcome to everyone and include persons who live with mental illness? Are we willing to consider new support services that will benefit persons with mental illness? Do we advocate for research, legislation, and services that will lead to better lives for persons living with mental illness? If you would like to consider working with others to build a parish mental health ministry, please send an email to: info@cathedralwinona.org Your email will be handled confidentially. Due to the summer schedules of our priests there will only be one 5:15 pm Vigil Mass on Saturdays in our cluster of parishes. The Mass will be at the Cathedral beginning May 24th. There will be no 5:15 pm Mass at St. Casimir during the summer, probably through Labor Day weekend. Fr. McMillan is covering at the Austin cluster, and Fr. Frerichs is covering at the Chatfield cluster. All 5:15 pm Mass intentions at St. Casimir during the summer will be moved to the 9:00 am Mass during this time. If you have any questions please contact the parish office at 507-452-4770. There are just 4 more meals left on the meal train for the Adamczyk family. To sign up to take them a meal on a Wednesday or Thursday, please go to their Meal Train website or contact the parish office and we will be happy to help sign you up. It's easy and really makes a difference. To read more about the Adamczyk family please click here. Thank you to all who have helped with a cash donation, gas card, well wishes and prayers. Your generosity has been, and continues to be, very appreciated. Registration forms are available at all Parish Offices and online here. Please register by May 14th. Vacation Bible School will take place at St. Mary's School/Church. Catechists and volunteers are needed in many areas. See the registrations form for more information or contact Julie in the St. Mary's Parish Office at 507-452-5656. Catechists and Volunteers will have a planning meeting at 6:00 pm in the St. Mary's Visitation Commons on May 21st. 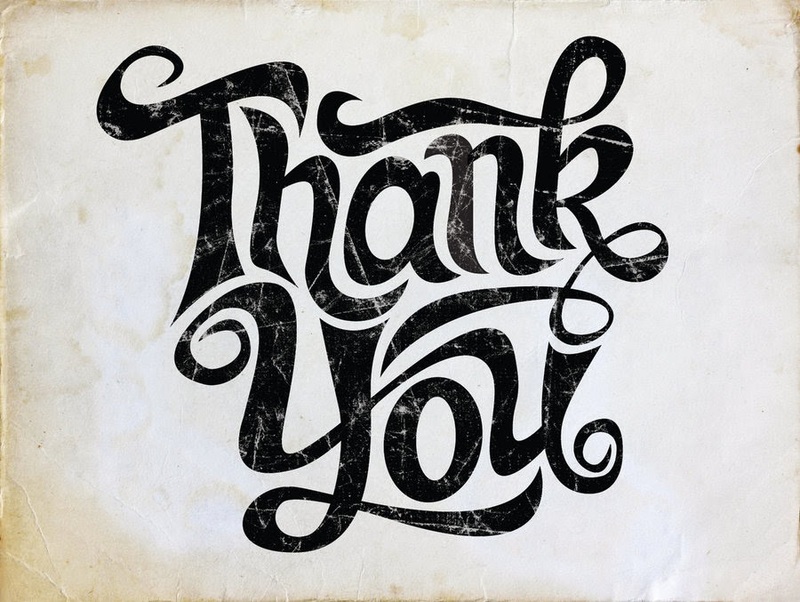 Thank you to everyone who has already made a donation to the Annual Diocesan Catholic Ministries Appeal this year. The Annual Appeal is the primary source of funding which helps sustain and expand critical ministries in the 114 parishes, 30 schools, and other Catholic organizations within the 20 counties served by the Diocese of Winona. Our parishioners, parish staff and parish programs all benefit from the money raised by this appeal every year. Things like our Bible Study DVD leader packs and the Courier, as well as events such as Ministry Days, Church Media Day, and the Year of Faith Closing Celebration were all made possible due to funding by the Foundation. 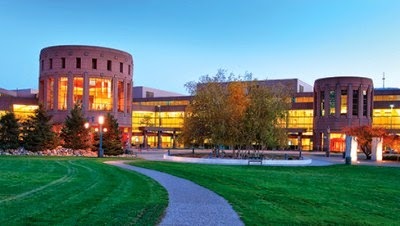 Additionally, the foundation supports Pre-Cana opportunities for engaged couples, Youth activities (such as Camp Summit and travel opportunities to National and regional conferences and scholarships for these events), the Newman Center in Winona, the Institute of Lay Formation, and our Diocesan Vocations office. Currently at $20,993.56 with 69 donations. Currently at $5,485 with 23 donations. Every dollar raised above each parish goal comes back to the parish. Please fill out the donation card and drop it in the collection or get it to the parish office. You can donate online via Our Sunday Visitor. 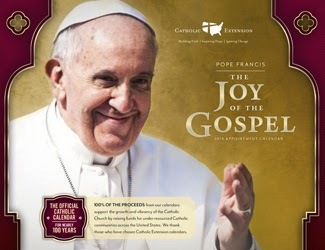 Visit www.catholicfsmn.org for more information. Set your calendars for the social sporting event of the summer! The 14th Annual WACS Golf Outing will be Monday, June 2nd at Bridges Golf Coarse in Winona, MN. Registration begins at 11:30 am with shot gun start at 12:30 pm. Lunch will be available for purchase. Proceeds from this event go to support educational programs at the Winona Area Catholic Schools. Enjoy a day of golf, dinner, program and prizes for only $90 per golfer, or $360 per foursome. More information and registration forms can be found online here or by contacting the WACS Business Office at 507.454.7449 or email lbowlin@wacs1.org. Hole sponsorships are also available and are a great way to promote your business while showing support for our schools. To register for golf, become a sponsor, or come for dinner, please contact the WACS Business Office. On May 1st the Cotter Show Choir entertained the Young at Heart crowd at Cathedral. Join us next month on the first Thursday (June 5th) for a great dinner and entertainment by Ben Mahlke. 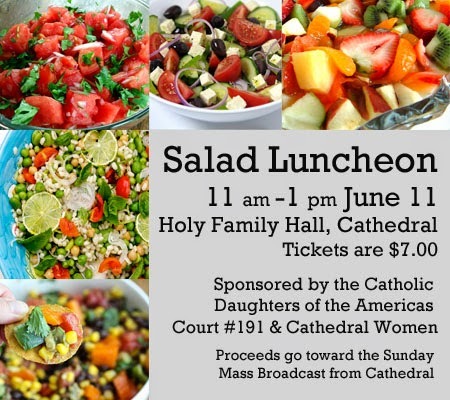 RSVP's are required for the meal and can be arranged by calling the Parish Office at 507-452-4770. We'd like to congratulate the fifteen students who received their First Communion in our cluster this year. Also, thank you to all of the Catechists and parents who helped prepare them. We wish you the best on the next part of your faith journey! Please consider joining us for our annual spring cleaning of the Cathedral Saturday May 10th at 9:00 am in the church, all are welcome to assist. Many hands make for light work! In this Year of Thanksgiving, in which the Diocese of Winona is celebrating its 125th anniversary, the Office for Evangelization and Apologetics is offering to all Catholics interested in improving their knowledge on how to defend the Faith (1 Pet. 3:15) to subscribe to the new Apologetics Online Course, scheduled to start in May 2014. You will receive one lesson a month on a variety of topics, such as, Is Jesus' presence in the Eucharist real or symbolic? Why do we need a Pope? How can he be infallible? Aren't statues just 'idols'? Isn't the Rosary a prayer of 'vain repetitions'? Why do Catholic priests don't marry? Why call Mary 'Mother of God'? Didn't She have other children? How can one prove the Immaculate Conception and the Assumption? Isn't the Bible alone sufficient? Isn't Faith alone enough to be saved? Why no women priests? and plenty more! The New Apologetics Online Course is expected to last one year, during which you will periodically receive self-evaluation tests. Quarterly conferences are expected to be held in different parishes of the diocese to gather those students who wish to develop their speaking ability. The cost? It's free! Just send an email with your name and parish to Mr. Raymond de Souza, KM at RdeSouza@DOW.org to join the emailing list. us the way to eternal life. On Saturday, May 3rd, the Polish Museum will be hosting a celebration of Polish Constitution Day. Mass will take place at 4:00 pm at St. Stan's where Fr. Kolodzejzyk will be the guest homilist. There will be a 5:00 pm social hour and 6:00 pm dinner to follow the Mass at the Polish Museum annex building (363 E 2nd St.). Tickets are available from The Polish Museum, board members, HyVee and Midtown Foods. Live music, great food and cheerful surroundings await you! You are invited to take part in the One Million Rosaries for Unborn Babies prayer event. This national event start on Friday, May 2nd and runs through Sunday, May 4th. The Rosary is offered across the world for the intention of ending surgical and non-surgical killing of unborn human persons. Cathedral will be hosting a rosary prior to the 5:15 pm Mass on Saturday, May 3rd. Please join us to pray! St. Casimir's Parish will be hosting their Annual Chicken Q this Sunday, May 4th, beginning at 10:00 am. The cost is $8.00 and includes 1/2 chicken, coleslaw, potato salad and roll. Take out is available. Proceeds benefit the St. Casimir Faith Formation program. Come enjoy great food for a great cause! This is also a Catholic United Financial Matching Grant fundraiser. Thank you Catholic United Financial!